Here you can edit your Profile and Board preferences so that you have control over personal information that is visible to other members. 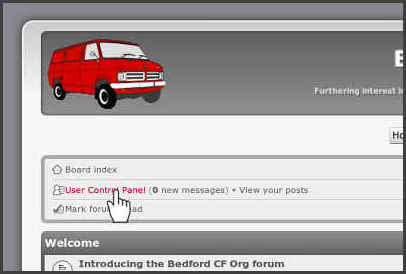 After that, if you have any problems using the forum (however trivial they may seem) then send a PM (Private Message) to Site Admin whose role includes helping members to get the best from the forum. Registered Members have restricted access to the website for free. Subscribing Members have full access to all club facilities on and off the forum. Registered Members can apply to be Subscribing Members here. Last edited by admin on Thu Dec 28, 2017 12:33 pm, edited 1 time in total. In addition to filling in the Subscribing Member application form on the Join the club page and sending it by post the following options are available which should cater for most members' circumstances including those outside the UK. 1. Edit the PDF form and send that as an attachment to email to the address on the form. 2. Scan the completed form as JPG then attach that to email to the address on the form. A new password will be sent to the email address used for registering your account. Use the new password to log in, after which the password along with username etc. 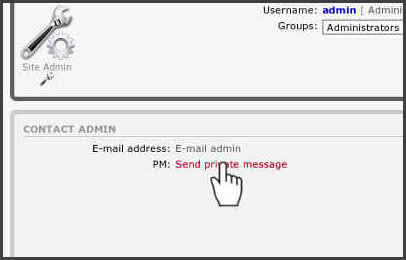 can be changed in your User Control Panel (top left of forum main page) under Profile > Edit account settings.